Blade offers different types of cleaning so you don’t have to have the same thing each week or even the same rooms. Different areas need focusing on from time to time such as a spare room needing some extra tender loving care for unexpected guests arriving to the dreaded fridge cleaning either way its flexible cleaning at its best. Our services offer everything from covering your normal weekly housework chores or deep cleaning all those hard to reach places can be taken care off. We won't miss a single thing. You take control and tell us your needs and that of your home. All of domestic clean, all surfaces wiped down, skirting & door frames, fitted units. All of domestic clean, wash down : skirting, door frames & kitchen units (inside & out) thorough cleaning in all nooks & crannies, hoover furniture & curtains, internal windows. We offer the chance to have various items cleaned with the power of steam alone. From :Inside windows, floor & wall tiles, cooker hood, hobs, carpets & upholstery. We will get the property back up to scratch, making sure it's spotless when you leave. Cleaning the entire property from floor to ceiling & guaranteeing you get your deposit back! A clean house sells better so get on with organising your new life sooner by letting us do the final clean. We'll come in & give your old home a final once over from end to end. 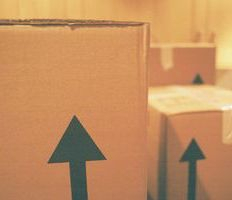 When moving into a new house the last thing you want to be doing is cleaning while unpacking boxes. If the previous owners left it in a lesser condition than you would want to live in or it's been empty a while. We will clean it just how you want it from Top to Bottom. What is covered - All of Spring & Summer Clean, including fridge & any other fitted electric appliance (cooker is an optional extra), wash down the painted interior walls. Nothing is worse than having a good old fashioned knees up or a family celebration knowing in the morning your back to reality with a bump when your faced with the mess left behind so let us take the stresses & strains and bring your home back to life for you. What is covered - Hoover, wash floors, bathroom & toilets, clear up & dispose of all rubbish, take care of any stains on carpets. We all know the mess you home can be in after the builders or decorators have finished so let us do the finishing touches to your newly revamped property. We are happy to clean up all the mess they leave behind. Or maybe this a new property that’s just been built and needs that final clean before its sold either way we are the ones for the job. What is covered - Remove paint, plaster, paper from all fixtures & fittings, clean kitchen/bathrooms & toilets, interior windows & sills, skirting, doors & frames, all tiles, wipe clean appliances, front & back door, fitted cupboards dusted & wiped, sweep, hoover, dust, mop & sparkle all fixtures, fittings & appliances. You come back from your holiday feeling fresh and revived so why not give your home the same treatment. While you’re away we will send in our trained cleaner to give your entire home a Spring or Summer clean. Walking through the door to a fresh smelling clean home was never so easy & affordable. Included in this package is a free daily home check, carried out at different times to avoid suspicion and we will happily water the plants, feed your beloved pets & arrange for the essentials such as bread and milk to be brought for the day you return. Why not give someone you love a break from the chores of cleaning, even the most dedicated Partner, Mother, Wife or Friend deserves a break and what’s better than a sparkling clean home to relax in. Our cleaner will carry out a One off Blitz and included in this package is a Bottle of Champagne, Bouquet of Flowers & a Box of Chocolates. Maybe use the Blade Sparkle as a Wedding Gift. We all know how hard it is find that special present that no one else will think of, well this is that gift. We can even tie this in to their return from a Honeymoon.